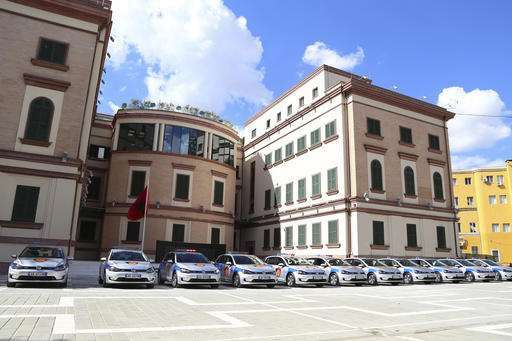 In a first for Albania, some police will soon be driving electric cars through the streets. 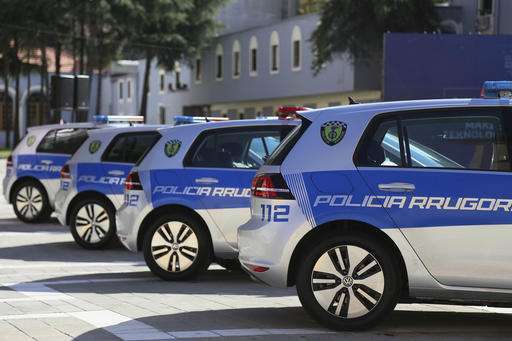 Interior Minister Saimir Tahiri on Wednesday proudly introduced a small fleet of Volkswagen electric cars to be used by police, "the only one in the region and one of five in Europe." He said the cars will not use "a single drop of fuel" and will cost "just a coffee"—120 leks (less than 1 euro) per 100 kilometers (62 miles). There's only one catch—there's no recharging spots at Albanian fuel stations or around Albanian cities, so the cars have to head back to the police stations to be recharged. Those little cars are fast and sure. They have sports car performance, and will eventually be charged with induction chargers. No gas, no oil, no filters, no leaks, no tuneups. The world is going electric.